SSL Certificates. SSL stands for “Secure Socket Layer.” This encrypts your website and places the “S” in HTTPS. Years ago only banks and large companies had website with an SSL. Recently Google has pushed for every website to have one. They went as far as labeling websites without an SSL in their Chrome browser as “Not Secure.” I believe that will cause some potential visitors to your website to be shocked and scared away. Then Google went 1 step further by penalizing websites in their search rankings that don’t have an SSL for their website. Get a SSL security certificate for your website today. Without a website, you don’t exist! Call today get a website today. Search Engine Optimization or more commonly known as “SEO” is the process of implementing protocols before, during and after the design of a website to comply with standards that should/could enhance your analytical algorithm ranking on Google’s search engine. I’ve been asked why I don’t use WordPress or other content management systems (CMS) to build websites. While they do offer a lot of options called plug-in’s, I’ve chosen not to use WordPress for several reasons. 1.) WordPress websites are the target of hackers. All of the big websites that have been hacked that have been in the news (that companies waited several months to report), those were made with CMS software such as WordPress. WordPress is a free open source online software that requires constant attention and security updates. 2.) WordPress uses plug-in’s made by anyone and everyone. Are most of the plug-in’s safe to use with no malicious or nefarious intentions to steal information from your website? I can’t say. The problem with plug-in’s, its created by someone you don’t know or trust and they will stop working if they are not updated on a regular basis. So that nice contact form stops working for no apparent reason, only to find out its no longer supported by the developer. 3.) WordPress websites are incredibly slow. Have you ever visited a website on your Smartphone and while attempting to scroll, the page keeps shifting up and down. That is normal for those type of websites as they finish loading. I could list several more, but I think I made my point. The website I create is done with HTML. Extremely fast and very secure. There is no online login to edit or update the website that is vulnerable to hackers. The worlds greatest salesman passed away today. My Dad. Thank you for being my father. 21 years ago today, my 1st son was born. He needs a website for his birthday! New Years resolution…World Peace. Everything else is easy. Get back to work before your competition. Call 727-304-5656 today, get a website today. Business is good, Its better with a website. The needs of the many outweigh the needs of the few or the one.” (Spock - Star Trek) Many people search on Google or Bing to find a business product or service they need. Don’t be the one without a website. Call now 727-304-5656 and get a website today a be found by the many. Thanksgiving I’m thankful for everything. Could I imagine that life would have turned out different if I didn’t ……Join the Military?……Move to Florida?…….Recite the words “I Do?”…..Have three children?….Sell a vending business?…..Start a website design company? Well, I’m always thinking, but I love my life so I’m thankful for that. No website = you don’t exist. Back to work. Website design with a mobile responsive website included with all new websites and redesigns. New Years Eve. Resolutions for the new year: World peace. Everything else is easy. Friday December 23, 2015 My brother passed away last week. Issues we face in life reminds me that life itself is not done teaching and challenging us. I will be wiser and stronger. My Father, the "Worlds Greatest Salesman," told me a story about an appliance store owner who he use to sell to for the distributor he worked for. The stores business was starting to level off, when my Father told him about advertising co-op dollars that are available to be used for the stores advertising. 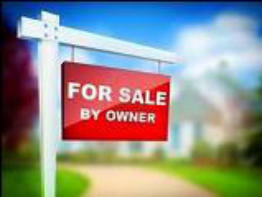 The owner stated that advertising was a waste of time, too expensive, and that people knew where he was at and what he sold. Time and time again, the appliance store owner refused to advertise his products while his competition was advertising and seeing an increase in sales. The owner refused to advertise his business until one day he had to shut his doors for good due to lack of business. The very next day he advertised his business "For Sale " outside of his store! A business that does not advertise will lose out to the competition. While some forms of advertising such as television, newspaper, yellow pages phone book, and even billboards are expensive, getting a website is not! 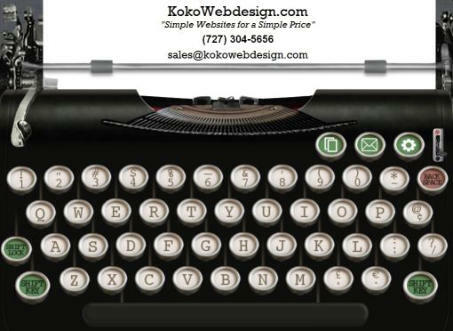 At KokoWebdesign.com getting a domain name, website, and website hosting is affordable Today, the first place a potential customer looks for a product or service is on the Internet. You must have a website to remain competitive. Call, email, or even text KokoWebDesign.com today and we will have a website up and running quicker than that appliance store owner put up his For Sale Sign! Monday December 7, 2015 With the recent change in Google's search algorithm, if you don't have a mobile version of your website, you are penalized in the search rankings that are done with mobile searches. Most reports indicate that 75% or more of searches done today in the United States are done on a mobile phone. Call today to get a responsive mobile website up and running. Thanksgiving Night - I am thankful for the great business relationship I have with all my clients. Doing business without advertising (website) is like winking at a girl in the dark. You know what you are doing but nobody else does." 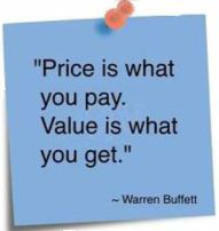 ― Steuart Henderson Britt Monday October 12, 2015 You Get What You Pay For - This saying, it seems to give an indication of a lower quality. But is this really and always true? Is a website that cost $300. going to serve your customers needs, or will it scare them away as some companies that charge in the thousands claim? Consider this: I believe, after 10 years of designing websites, a potential customer or client will look at your website, and 3 things immediately will come to mind: 1. They will think, who are you? 2. What do you offer or sell? 3. Where is your phone number if I want to speak to you now? It does not take thousands to get your name, number and information about your business on the Internet today. Call, email or even text me to get your website up and running today. Email: LetsGo@KokoWebDesign.com (727) 304-5656 Wednesday September 2, 2015 Search Engine Optimization (SEO) - is an important part of web design. This is a process of helping your website become as visible as possible to the world, or even more important, to be found quicker on Google, Bing, Yahoo, and other search engines. With the ultimate goal of having your website on the first page and the first position of search engines. So, the big question is: " What does it take to be ranked 1st on Google, Yahoo, Bing and others?" Answer: I'm not really sure, at least not sure enough to make the claim to potential clients that I will get your website ranked first. There are web designers and companies making that claim to clients. I would never make that claim for one reason, I am not a "fly on the wall" inside Google's super secret search engine algorithm laboratory. Google's entire existence relies on them keeping that secret. But if you want to know how to try and get ranked on the first page, I know who to ask; Google themselves! The key to getting ranked high on the search engines is to have a website that someone is looking for. Relevant, fresh & current content using the words and search terms that the average Joe would use when searching for your type of business/product and or service. Not just a list of words separated by coma's (keywords) on the bottom of your page somewhere, but actual proper sentences using the keywords in proper grammar. Saturday August 15, 2015 Are you paying too much for your website? As a business owner myself, watching and hopefully reducing expenses is very important to the profitability for any business, while still providing a quality product or service. Today, a website is essential for every business. At KokoWebDesign, getting a website is affordable and cost effective. One price includes your choice of a domain name (.com, or .net), 1 web page, 1 responsive mobile web page, 1 year of web site hosting, and 30 days of unlimited minor updates to your website. Other features are also available to add to your website for a low one-time fee.